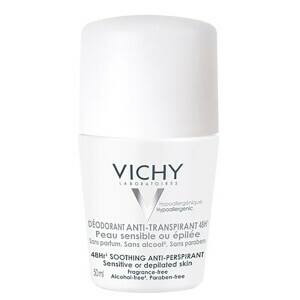 Regulates Perspiration For Up To 48 Hours And Helps To Soothe Sensitive Skin. A gentle formula, specially adapted for sensitive and depilated skin. The anti-perspirant formula is enriched with Proline Cutei and protects from perspiration for up to 48-hours.